I’m sure a lot of people think I must have a glamorous life, living in New York City. Truth is, my life is just like yours. Today I had to go to the supermarket, do my washing, and entertain a two and a half year old (lego, play doh, reading, lego again – recognisable?!). I was wondering how I was going to squeeze in a good thing, but with my new friend from yesterday still fresh in my mind , I decided today was a good day to donate to the food pantry. According to New York City Coalition Against Hunger, more than 1.3 million New Yorkers live without sufficient food – including 1 in 5 of the city’s children. The shocking fact is that kids are going to sleep hungry every night. Kids near me, kids near you. Kids everywhere. 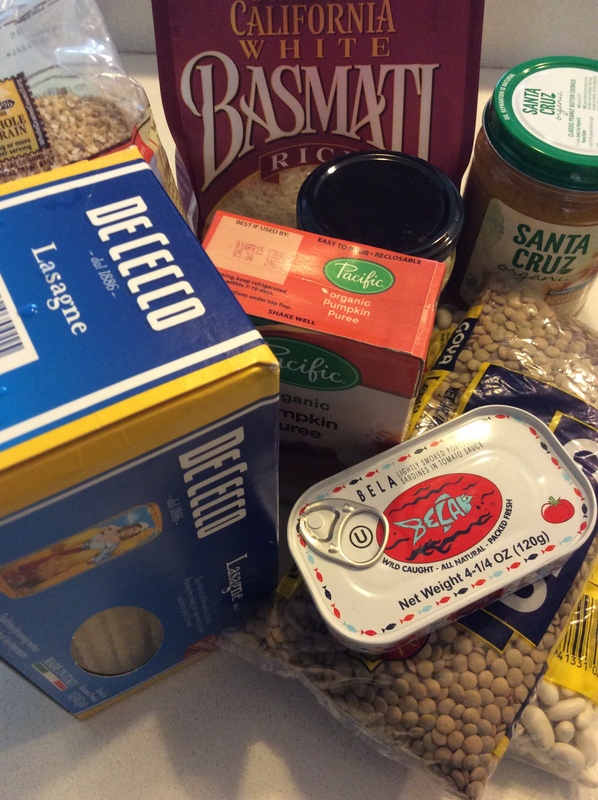 All it took was a quick rummage through the kitchen cupboards and I had a hamper full of food – rice, pasta, canned fish, cereals, peanut butter, crackers and plenty more. The point of this blog is to inspire others to do ‘one good thing’. I know life is tough for everyone, but if you can spare a few things from your cupboards (that tin of pears at the back of the cupboard that you bought but will never use maybe?) there will be people out there who really, really appreciate it. If you’re in the UK you can find your local for bank here. And for New Yorkers, here’s a great list. I enjoyed dinner tonight knowing that someone else will benefit from our donation, and am thinking of buying a few extras each week to make it a regular thing.